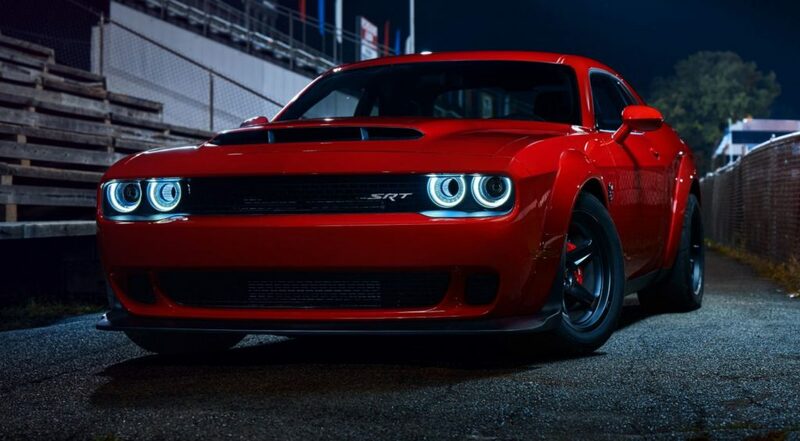 Is a Dodge Challenger SRT Hellcat Drag Pack Being Made? 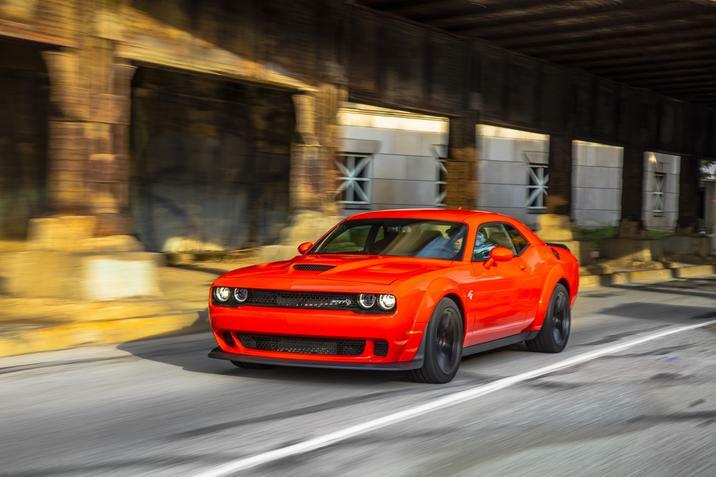 Have you been wanting more power for the Dodge Challenger SRT Hellcat? Is 707 horsepower just not enough. For those that believe that, there is some good news. Rumor has it that Dodge is putting together a new package to give the Hellcat even more performance power. Torque News has the break down. In it they discuss the possibility that Dodge is readying a new “Drag Pack.” This rumor stretches back from last year and has been a hot topic with Hellcat fans. 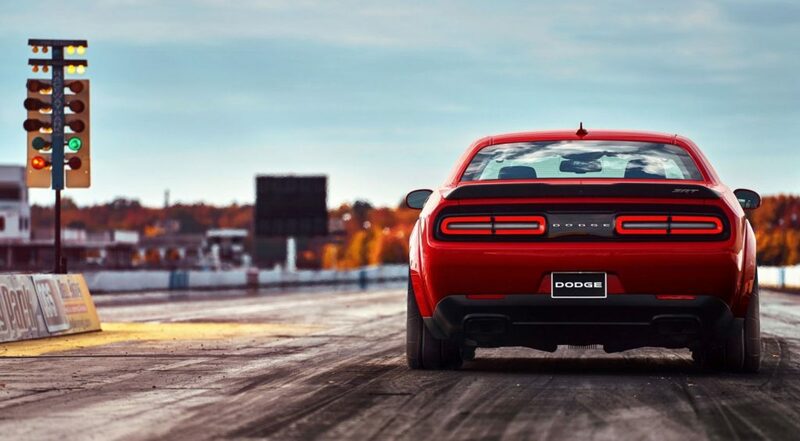 One of the reasons for the strength of this rumor is thanks to the Dodge Demon. That mighty muscle car is going to be limited to only 3,300, so it stands to reason that Dodge would want to use the technology of the Demon in something else. And that is where the Hellcat Drag Pack could be coming from. Elements of the Demon that could make the leap over to the Hellcat to increase performance could be something like the Air Grabber hood or similar tires. Any one of the many reasons why the demon was able to pull off the incredible technological feats it was capable of could find themselves helping to bring the Hellcat back into the spot light with the addition of this drag pack. If it exists, hopefully we’ll found out soon. Until then, would you want to see a performance drag pack for the Challenger Hellcat? 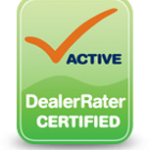 Make sure to check out our new and used line-up on Bayside Chrysler Jeep Dodge’s website. Download our mobile app to your smartphone device to keep up to date on special offers at the dealership. Like us on Facebook, follow us on Twitter, and subscribe to our YouTube channel for more auto news. A new video highlights the immense speed and power that the Dodge Demon promised as it slowly built up to the final reveal. It’s been a while since the Dodge Demon made its grand appearance and it’s long overdue that people who have been getting their hands on the supercharged muscle car really show what it is capable of. This new video, that website The Drive highlights, shows what happens when the Dodge Demon tries its hand at a quarter-mile run. The answer is spectacular. It is from Demonality and is clearly meant to give the Dodge Demon haters and deniers something to think about. The opening of the video even tells Ford and Chevy guys to get their tissues out now. The Dodge Demon can make a 9.94-second quarter mile run in the video, a tad shy of the claim from Dodge that the Demon can do the same run in 9.54. Check out the video that was posted by true Dodge fanboys here and enjoy as they wish nothing more than to sing the virtues of their favorite muscle car brand. The Dodge Demon is one of the coolest vehicles on the market. It is impossible to see it in action and not be able to take your eyes off of it. It’s perfectly designed for showing off. In the hands of experienced drivers and film-makers, the result is beautiful. Pennzoil has a history of making SRT vehicles look amazing on screen. They did it for the Dodge SRT Viper in their video “The Last Viper” and have brought that same vision to the Dodge Demon. Their lastest video is “Exorcising the Demon” and it is just awesome.